This is my first cut at identifying process/organisational patterns we’ve used and evolved for running hackathons at Osmosoft. 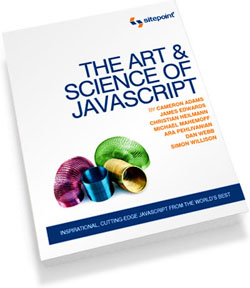 Many are regular agile patterns, specialised for the Osmosoft-style hackathon context. I described one particular hackathon in detail a few months ago. We’ve done about half a dozen of them now,for a range of different customers, with requisite navel-gazing in between the events, so we have begun to get an idea of what works and what doesn’t. Hopefully, these patterns will help to broaden the conversation and help us further evolve our practices. Skeleton Project – A live skeleton project is prepared before the event. Functional Plugin – Certain generic plugins required for the hackathon should be identified and built, if time permits. User Stories – Team and customers agree on user stories, with priorities. Fixed Duration – Team and customers agree upfront on finishing time. Customer Agreement – Customers agree on their obligations and expectations. Open-Source Code – The hackathon develops open-source code, to be placed in a public repository throughout the day (proprietary features can be integrated via plugins and configuration at a later date). Continuous Integration – Everyone checks into the central repo and builds/tests on their local machine. Public Instance – An instance, continuously built from the repository, is available to the customer (speculative). Dedicated Integrator – One developer supports code integration and continuous integration, instead of developing to user stories. Customer Liason – One developer is primarily responsible for engaging with customers before, during, and after the hackathon. Stand-Up Meetings – Periodic stand-up meetings throughout the day, with each meeting deciding the time for the next meeting. Walkthrough – Developers walk through final product Screencast – Final product is captured as a screencast, to be published online. As everyone’s been developing in different ways, I wanted to arrange a session to share experiences and come up with best practices – to help us become (a) more consistent and (b) more productive going forward. We agreed on objectives (20min), explained our current practices (1hr), had a general discussion and debate on deployment and development (1hr), and we then performed an interesting activity @cdent had suggested earlier on, which was to do a group coding session in front of a projector. You could think of it as an enhanced meeting more than “pair programming on steroids”. Part of it was for Chris to explain the tiddlyweb tools that we should be using more, and part of it was to walk through a project lifecycle and critique the stages. This was 2 hours, we concluded the event, and Chris, Fred (@FND), and I remained to refine some of the points into the following summary. I’m back from the BT Open Source in Business conference. Will blog it later, but one thing to highlight was a panel question on threats and challenges to open source. I’m experiencing one challenge right now, so I thought I’d highlight it since it wasn’t mentioned by the panel. Come to think of it, I didn’t hear it in the two days of Open Web Forum either. The challenge is finding what you’re looking for. For many problems developers face, there is software out there that solves it. It’s free for them to use, and they – being the enlightened developer they are, see “not invented here” as a good thing, because it means there is potentially a community behind it and a proven code base. BUT what if they can’t find this thing? For them, it may as well not exist. This is more of a problem than we might imagine, because by now, a whole lot of open sourceage exists out there, and a modern developer ought to be assembling and configuring and tweaking, as much as they should be coding new stuff. There are several reasons why search is a challenge: * InfoScatter – Open source is hosted in a zillion different places on the web, from one-off web pages (http://project.mahemoff.com/jquery-iframe/) to tight-knit focused communities (http://www.tigris.org/) to big communities (http://apache.org) to massive general-purpose repos (http://sourceforge.net http://code.google.com). * Articulation – It’s not always easy to articulate what you want in a simple Google search. I could imagine smarter search where you tell it the kind of code signatures or structures you expect to see, but I suspect we’re a long way off from the kind of AI required for that to work at scale. * Clutter – Too many results mean too much to search for. We need better ways to filter, for example excluding obsolete projects. Firebug – The tool that increased my web programming productivity by a factor of 3. Web Developer Toolbar – Before Firebug, there was Web Developer Toolbar, an excellent way to inspect the page state that is still useful at times. 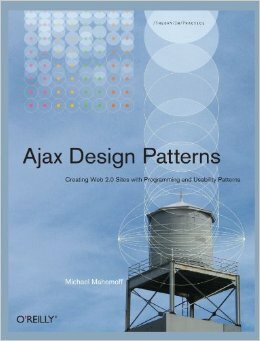 The Ajax Design Pattern – Yes, JJG didn’t come up with anything new and people were doing it before, but this was a “right time, right place” case where the name immediately spawned a massive community of people sharing ideas and experiences. Firefox – Browser + Detailed Settings + Tabs (credit Opera) + Plugin Mechanism = developer’s best friend. View Source – The ability to look under the covers, responsible for rapid accumulation of knowledge in web apps. StackOverflow – Increasingly becoming the no-brainer search result for programming problems and a vast improvement over the cruddy SEOtastic train wrecks that went before it.